A bold depiction of Liberty with Torch appears on this last year of issue with the scarce Owl privy mark. This key date and privy marked coin is rather scarce. 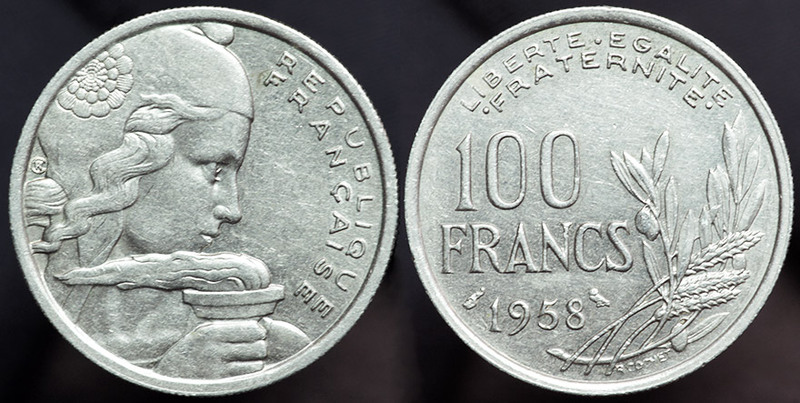 The pre-war issue 100 Francs was a gold coin with Bazor Liberty head, this post-war issue is struck in copper-nickel. R. Cochet was the designer.